Dr. Marmur is a high-volume angioplasty operator with expertise in all forms of percutaneous coronary and peripheral vascular intervention, including iliac, femoral, infrapopliteal, and carotid stenting. Jonathan D. Marmur, MD FACC FRCP serves as a medical expert witness for both plaintiff and defense counsel in selected cardiac and cardiovascular malpractice cases. Dr. Marmur views serving as an expert witness to be part of his professional and civic responsibilities as a cardiovascular specialist. Dr. Marmur is an expert in minimally invasive treatments for heart conditions. As a respected practitioner, researcher and communicator, he currently treats thousands of cardiac patients, contributes to clinical and scientific research, educates and informs the medical community, and supports settling disputes related to cardiovascular disease as a medical expert witness. Dr. Marmur is currently a full Professor of Medicine and Director of Cardiac Catheterization and Interventional Cardiology, as well as Director of Clinical Cardiovascular Research, and the Coronary Care Unit at the State University of New York (SUNY) at Brooklyn. A recognized expert in coagulation, Dr. Marmur has contributed to the basic science and clinical literature on hemostasis and thrombosis. Dr. Marmur and his colleagues hold a patent on a novel biomarker that has the ability to predict future adverse events such as myocardial infarction and death. Dr. Marmur's research also involves the areas of gene therapy and genomics. 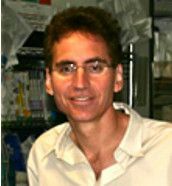 As one of the early pioneers in the application of recombinant DNA and viral vector technologies to human arterial disease, Dr. Marmur recognizes that future advances are most likely to be derived from the field of genomics and the related subfields of functional genomics, proteomics, and bioinformatics. His current research efforts are focused on the generation of the Downstate Cath Lab GeneBank, a repository of molecular genetic, angiographic and historical information on patients who have undergone cardiac catheterization. Recognized by professional colleagues as an expert in his field, Dr. Marmur is a frequently invited speaker at national and international conferences. He has served on the editorial boards of the Journal of the American College of Cardiology, the Journal of Cardiovascular Revascularization Medicine, and the Journal of Invasive Cardiology. Dr. Marmur has been quoted in The New York Times and other prominent newspapers. Dr. Marmur is a frequently invited speaker at national and international conferences. He has served on the editorial boards of the Journal of the American College of Cardiology, and Cardiovascular Revascularization Medicine. Dr. Marmur also directs the Interventional Cardiology Fellowship Program at the State University of New York (SUNY) Health Science Center at Brooklyn, a one-year program that is fully accredited by the A.C.G.M.E. (American Council for Graduate Medical Education).